Complementing their fabulous collection of designer engagement rings is the Tacori wedding band line. 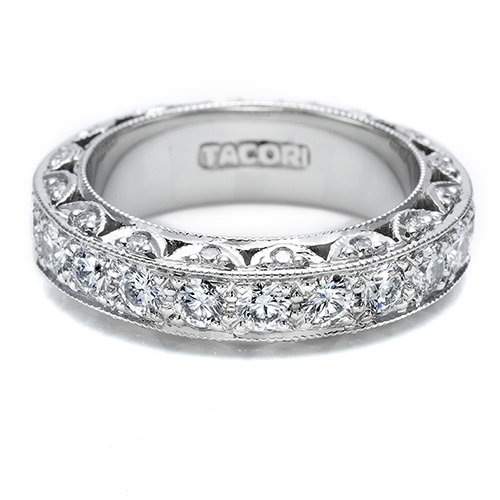 Featuring both men's and ladies designs Tacori captures the antique style wedding bands of the past with the modern flare of the future with pave-set diamonds in platinum or 18 karat gold. Ladies eternity bands are a fantastic anniversary present as well. 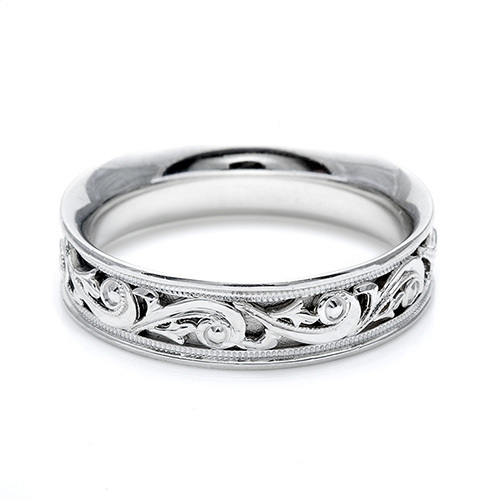 Most feature an eternity style with diamonds all around the ring. 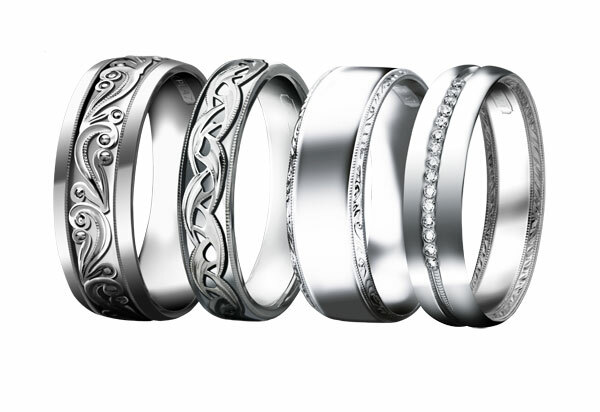 Wedding bands are made to complement each style of engagement ring and follow the lines and design of each pattern. Tacori men's bands are distinct, universal pieces that are all designed with comfort fit interiors to provide the maximum in comfort. Visit the Tacori website to view their complete collection and learn more.